Still no Smash Wii U tracks to be found online, but we'll get those sooner or later! For now, we've got some awesome new Twilight Princess music courtesy of OverClocked ReMix! OverClocked ReMix just celebrated their 15th birthday yesterday! Congrats to the team and community. New tracks from Chimpzilla, Jordanrooben, and Pl511, including Hero's Rest and Wistful. Both are great tracks, so be sure to give them a listen. We receive questions and emails every week from our Radio Hyrule listeners, and we always answer a few of them in our Friday Updates. To submit your question, visit the contact page and fill out the form. We got a LOT of questions this week (making up for last week's lack thereof), so apologies if we didn't answer your question! We'll save some for future slow weeks. I know we have an IRC chatroom, but is there any possibility of us starting up a VBulluten forum in the future? Thank you so much for the effort you guys put into this site and the station. "Do people still engage in community forums?" was the first thing that I asked myself when reading this. I've been out of the forum community scene for a while now, but if it's something people would enjoy having at Radio Hyrule, I wouldn't be opposed to opening a small board for discussion and sharing. For a while a few years back, we used to have boards on other site forums who were kind enough to host one for us, and then we decided to switch over to a community based on comments left on track/artist pages. I realize that you generally shy away from featuring OSTs here on Radio Hyrule--the only exceptions I am aware of being the trailer themes from Twilight Princess and Zelda-related themes from Super Smash Bros. Brawl and (recently) for 3DS/Wii U. That said, would you ever consider adding music from Hyrule Warriors to the station library? What will be in store for the future of radio hyrule? Will there be other new shows, extravaganzas, new features, etc. We'll address some of the new things we're working on in the upcoming State of the Station in January! We have a lot of things in the works right now, but it's hard to put a time estimate on anything just because everything is at a varying level of completion. We're also a bit understaffed at the moment! We're excited to see what the new year brings. 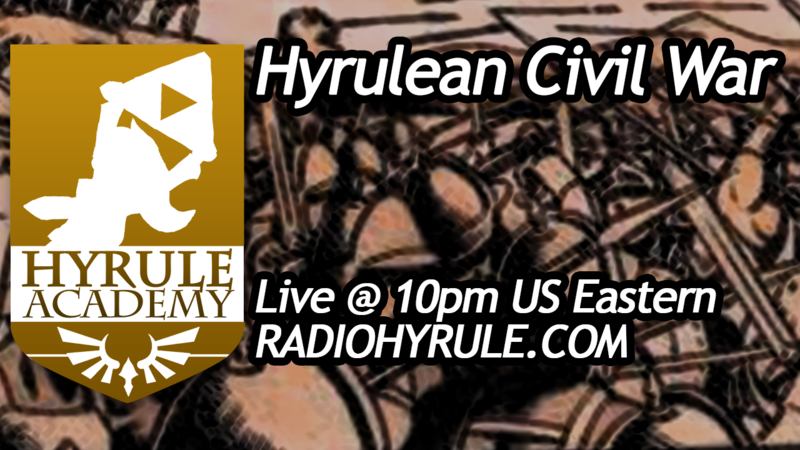 Tonight's Hyrule Academy features a highly anticipated topic, The Hyrulean Civil War! MC Gamer will be kicking off the show at 10pm US Eastern! "Grandma has been waiting for you to come back to the house. Sorry to keep you waiting! We hope you all had a great Smash-giving weekend wherever you are. We're back from vacation this week with some new music to grace your ears. We were hoping to be able to release music from both of the new Smash Bros. titles this week, but we couldn't find the Wii U tracks anywhere! There are some people working on compiling all of the new tracks, but unfortunately they will have to wait until next week's update. The five new tracks from Super Smash Bros. for 3DS include Ballad of the Goddess, Dark World, Full Steam Ahead, Gerudo Valley, and the Main Theme. We receive questions and emails every week from our Radio Hyrule listeners, and we always answer a few of them in our Friday Updates. To submit your question, visit the contact page and fill out the form. There were no new questions submitted! Submit yours? MC Gamer is back again tonight with another new episode of Hyrule Academy! It all starts at 10pm US Eastern. 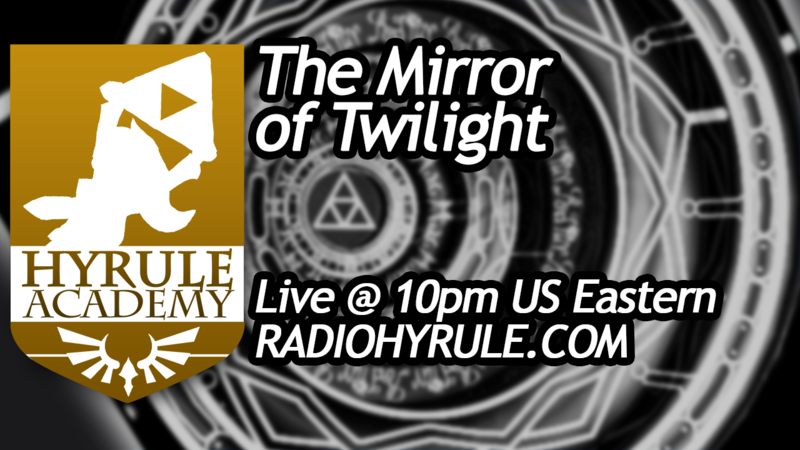 If you need to get caught up on previous episodes, head on over to the Hyrule Academy page! 'Tis the season of turkey and Smash Bros., and this year we've got things covered! With the recent arrival of Super Smash Bros. for 3DS, and the coming arrival of Super Smash Bros. for Wii U, we figured we'd get in the spirit of things by releasing some new music! Next week we will be adding music from the 3DS title, with the Wii U music following the next week. Stay tuned, more smash is on the way! To get us pumped up for next week, we decided we'd add a new fan album to our library, Harmony of Heroes! This album was released just last month, with over 100 tracks from various franchises represented in Smash Bros. Head over to the album's website for a download if you want to check out all 7 and a half hours of it. You may find something you enjoy! All 11 of the Zelda tracks we've added from the album were created by artists who are appearing on Radio Hyrule for their first time. Enjoy! How will Nintendo trademarking "Hyrule" impact this station? From what I can see this pertains to just the games and not derivative works in other media; however as a nearly constant listener I want to be assured that "Radio Hyrule" will maintain the familiar name. So far we haven't had any issues using the name 'Radio Hyrule,' and we hope that will continue! Although we can't guarantee the circumstances won't change in the future, we can assure you that we will continue to provide the content we do for as long as we are permitted. 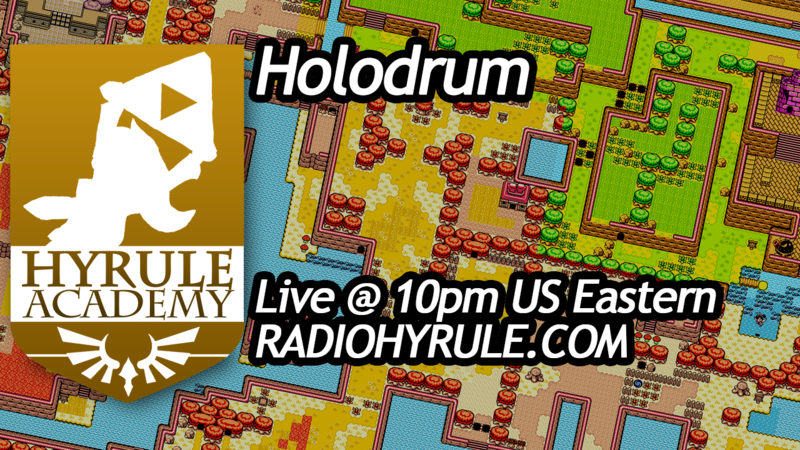 Stick around tonight for this week's episode of Hyrule Academy, hosted by MC Gamer! The show starts at 10pm US Eastern. Have a great weekend! Just a short update this week, but as usual, we have more music to share with you! Grab a pint, put on your dancing shoes, and head on down to "The Market Pub," our first track from artist Tweex! Check out his website for more game remixes and original compositions. Our second track for today is from veteran artist George R. Powell, titled "Battle the Terrible Fate." It's added to our library just in time to get everyone hyped for what you all know was just recently announced...(!) I don't think we need to say it. Keep an ear out for these two new great tracks in our playlist! Why isn't there a jazz music tag? After all there are plenty of wonderful jazz pieces on Radio Hyrule that are hard to find because there isn't a jazz tag. Thanks! We're adding tracks and new tags all the time! Please stop by our chatroom if you have any other suggestions. We'll be sure to keep our new jazz tag up to date! Tonight's Hyrule Academy will begin at it's usual time, 10pm US Eastern, and will be discussing the topic of Kinstones from The Minish Cap! Have a good one. To show a little festiveness, we're going to be bringing back our Hyrule Fright Fest playlist for tonight only! We'll be rotating through some of the spookier tracks in our collection from 18:00 - 22:00 US Pacific time. This means that Hyrule Academy will end up right in the middle of it, but that's okay! This means that song requests will be disabled during those times. They will be turned back on once both events have completed. This week, we're excited to finally add some tracks from one of our favorite pianists, Kyle Landry! If you're not familiar with Kyle's work, he is an excellent video game composer and pianist with a very large YouTube channel you should check out. He has all of his music available for download on iTunes and Loudr, and sheet music for his original compositions can be purchased on his website. Thanks for the new tracks, Kyle! They can be found rotating through our playlist starting today. What are these request “tokens” and why do they cost money? Historically, you can't request a track for some time after it's already been played or requested -- currently about 40 hours. But sometimes you might really want to hear a track regardless. If it's just a few hours old, then we'll accept bribes to play it sooner. :) Just follow the link and follow the payment directions. If you want to support us financially, then give it a try! In short, a token will let you bypass most of the cooldown times for the tracks you want to request. Think of it like a jukebox! The 40 hour limit is in place to help reduce the likelihood of hearing the same tracks every day, which seemed to be a common complaint in the community. Tune in tonight at 18:00 US Pacific to catch Hyrule Fright Fest, followed by Hyrule Academy, then more Hyrule Fright Fest! Have a good night! If you've ever tuned in for longer than an hour or so, it's highly likely you've heard one of the few dozen commercials we air in our rotation. Now, these aren't exactly advertisements so to say; we aren't making any money off of them, but they're actually there for listener enjoyment. How weird is that? The idea to add old Nintendo and Zelda commercials from all the way back in the 80's until present day came from the thought that we needed something on the stream to break up the constant flow of endless music. Sprinkling in a little bit of nostalgia seemed like a great idea, and we've been slowly expanding our collection of commercials ever since. Not only can you hear some of the original commercials from back in the 80's, but we also have the Nintendo Cereal System, Powerglove, Virtual Boy, and commercials from other countries. We hope they give you a slight chuckle before the next block of awesome Zelda music. We're committed to being an ad-free radio station (with the exception of the above nostalgic ones! ), which just means we have to try to fund the site some other way. Thanks to everyone who has donated to our MAGFest fund so far! We haven't raised enough yet for us to be able to go, but we'll still put your donations to good use producing new content, and making a better website experience. Hi Mahrellon, it's a pleasure to be adding some of your latest Zelda remixes to our library! You've been doing these for a while now. Could you tell us how you got started? Hi Eric, and thank you for giving me the opportunity to share my thoughts and music-covers. Music composing has always been a vital part of my life ever since I got my first keyboard as a young kid and I have also had a certain fondness for video games and video game music, especially the Zelda, Castlevania and Metroid series. Somewhere around 2009 I had a chat with a friend over Skype about how underestimated most older video game songs really are and that's when I kind of got the idea of bringing some of them back to life. Since I always love to find new sounds and styles I felt almost obligated to try to make the covers in a way that preserves the original feel while also re-making them in a style very far off from the original piece. From western to electronic dance, you're clearly influenced by a wide variety of styles and genres. Could you name a few of your major influences? It's funny that you ask because I have been asking myself this for quite some time. I think it's mostly thanks to the fact that I grew up in a family that already had a variate of different musicians. My grandmother played the accordion, my grandfather played the violin, my uncle plays acoustic guitar, my aunt plays the flute and my Dad is a rock musician. I guess you can see why I too became a musician and probably why I'm not bound to working with just one style. That's awesome! Thanks for your time, and we hope to hear more tracks from you in the future! This week we feature our first Postbox questions, submitted by members of our community. Since we might not always have the space to answer every question, please understand that we may not be able to answer yours right away. We may hang on to it for another week of the Postbox. I hope you are all doing well. I'm excited to hear you have a new show coming and that there are new station IDs in rotation. I will admit, I will miss the old station ID. I was wondering when the Radio Hyrule Extravaganza Show will be uploaded and if you have any updates on the Radio Hyrule app for Android. I missed most of the show and would love to hear what your guest speakers had to say. Thank you for a fantastic station and I hope to hear back from you guys soon. Earlier this year we celebrated our sixth anniversary with our largest streaming event to date. We had special guests, gave away a bunch of prizes, and even had a real phone number for listeners to call in on and go live on the air with us. A great time was had by all, at least by those who were able to listen to the shows live. We had planned on recording the extravaganza in its entirety, but despite our failsafes, we lost entire chunks of the show due to a number of technical reasons. We have bits and pieces of the shows here and there, but there's really not enough for us to be able to release. We're just as disappointed as anyone else, as it was our first major live radio event, but we'll work on fixing things for the next one! As for the Android app, the question that fills our inbox week after week. The short answer is that we're working on it, it's just taking us a very long time to match the quality of the iOS build. Good apps don't just appear out of thin air. Our iOS developers have done a phenomenal job making sure the app remains stable. 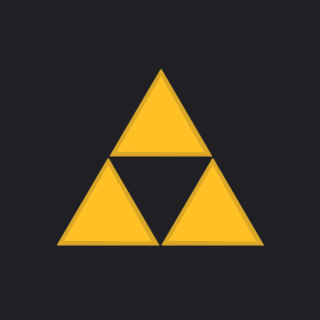 We don't, however, have any experienced Android developers on our Radio Hyrule team, so we're having to slowly learn as we go, in addition to working on new features for the new website we have in the works. We simply ask for your patience and know that we are not ignoring you! When can we listen to Radio Hyrule on Wii U? Some number of months ago, we had started experimenting with a special Radio Hyrule stream that could be opened on Wii U consoles. We like to try to support as many devices as possible, and the Wii U would be great, as it uses one's TV rather than a computer or phone. The experiments would work sometimes, but it wasn't very stable in the end. We'll continue to experiment and look into Wii U support for when we launch our new website in the coming months. 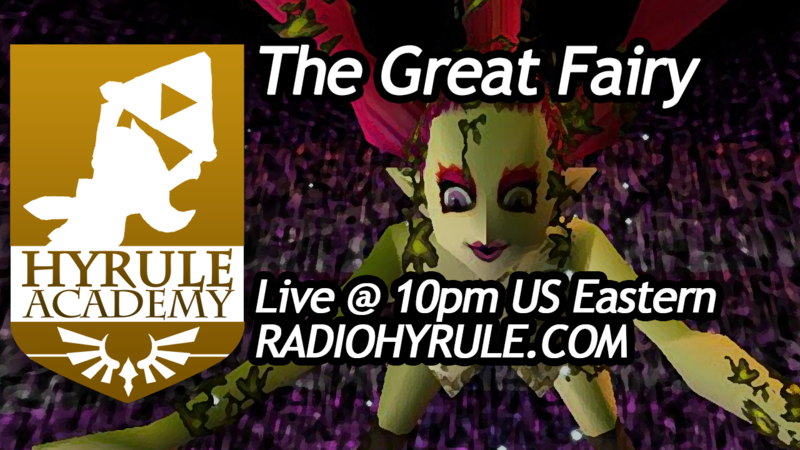 Hyrule Academy airs tonight at 10pm US Eastern time! Thanks for sticking around, and we hope your weekend is awesome! Today, the Minuet of Forest station ID aired for its final time. That's right, Navi no longer haunts our internet airwaves, and you'll no longer needlessly warp to the Forest Temple. Sound the bells, and pop the champagne, because we've finally updated our station IDs. As of today, you'll start hearing not just one station ID, but several, with more on the way. We air them roughly every 14 tracks, as well as some old Nintendo commercials after every other ID. "Would You Like to Hear that Again?" - The Radio Hyrule Zelda News and Trivia Quiz! It's our most ambitious show to date, and it's our goal to make it as humorous as it is entertaining. We've been saving up site funds for the last few months in order to purchase new equipment to bring with us to MAGFest, but we haven't quite saved up enough money yet. In an effort to make this new live event possible, we will be hosting a small fundraiser right here on our site for the next two weeks. (Panel submissions for MAGFest close on Halloween.) We're hoping to raise $500 or more in that time, so we can submit our application and make travel arrangements without missing the deadline. If you're a really big fan of our radio station and would like to see more unique content created by our team, please consider making a donation! We don't have anything to offer in exchange for right now (except the internet's largest library of streaming Zelda music! ), but we promise your contributions will not go unrewarded in the near future. This week's music update includes six new tracks from OverClocked ReMix that have been released in the last few months, including a stellar piano performance by new artist Nostalvania. Other new additions include a smooth new Dark World track by OCR founder djpretzel, an orchestrated Song of Healing arrangement by George R. Powell, and a fantastic new arrangement from Hylian Lemon based on themes from Link's Awakening. Don't miss out on these great tracks! As this is the first of many more Friday updates to come, we don't have any Postbox questions to address this time. Feel free to send us your questions, whether they're relating to the website, mobile apps, requesting, or just complete nonsense. We'll answer a few of them in next week's update. To submit questions, head on over to the Contact form and select the "Postbox" category option. Thanks for listening! Be sure to tune into Hyrule Academy with SuperMCGamer tonight at 7pm Pacific, and have a fantastic weekend. Didn't get to tune in for the August 1st episode of Hyrule Academy? No worries my friend, here is the full recording of the episode! On this episode, I talk about the land of Holodrum from Oracle of Seasons! Enjoy! Didn't get to tune in for the August 8th episode of Hyrule Academy? No worries my friend, here is the full recording of the episode! On this episode, I talk about The Mirror of Twilight from Twilight Princess! Enjoy! Didn't get to tune in for the August 22nd episode of Hyrule Academy? No worries my friend, here is the full recording of the episode! On this episode, I talk with GreatScottLP about The Great Fairies found in many games! Enjoy!